My heart breaks for the loss of life; the pain and anguish the people of Nepal are suffering now. May Peace and comfort fill their hearts. 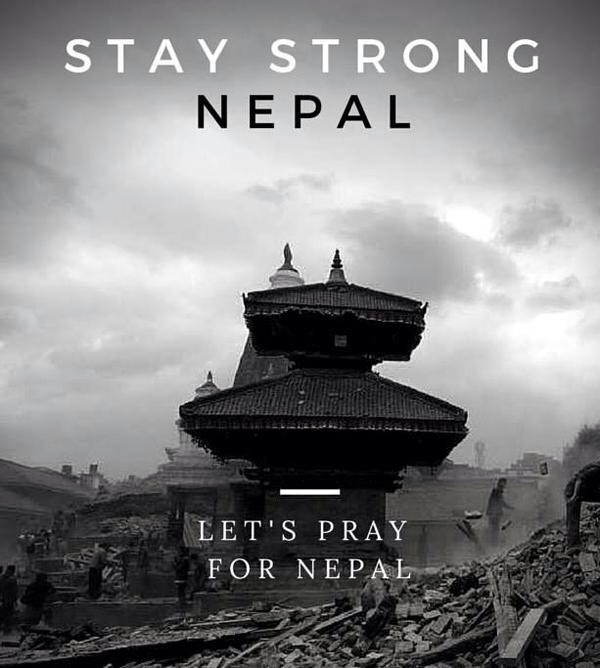 Would you please join me in praying for Nepal? Would you take a moment and think of them, pray for them, send them some love? Would you please make a donation? If you may, please Contact the American Red Cross. Let’s show our brothers & sisters in Nepal that Love brings forth consolement & that they are not alone! This entry was tagged Love, Nepal, Prayers, Support. Bookmark the permalink.